JASON CRABB HITS A HOME RUN WITH LOVE IS STRONGER! 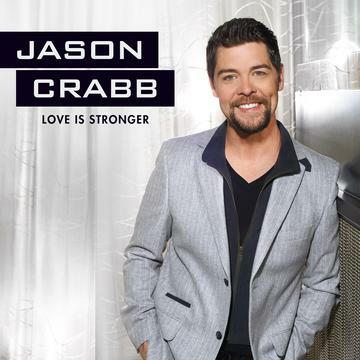 March 19, 2013 – (NASHVILLE, TN) The reviews are in and critics are raving about Love Is Stronger, the latest release from Grammy award-winning vocalist, Jason Crabb. The second studio release from 17-time Dove Award-winning vocalist has garnered attention from both Christian and mainstream press including CCM Magazine, Entertainment Tonight, Associated Press, and Fox News, among others. Additionally, the release was highlighted by iTunes – the largest distributor of digital music – as a “New & Noteworthy Release” on the main iTunes page as well as Christian & Gospel page. iTunes selects these spots for releases they deem to be be significant additions to the musical landscape. AOL Music also turned their spotlight onto the project by hosting an AOL Music Listening Party where listeners could stream the entire CD for free during release week. From the reviews, it is evident that Love Is Stronger, and the overriding messages of love and encouragement contained in the lyrics, have resonated strongly. The 11-track CD was released on March 12, 2013 and contains lyrics that echo Crabb’s own real-life. Love Is Stronger is available wherever music is sold and online digitally at iTunes, Amazon, and Rhapsody among others. 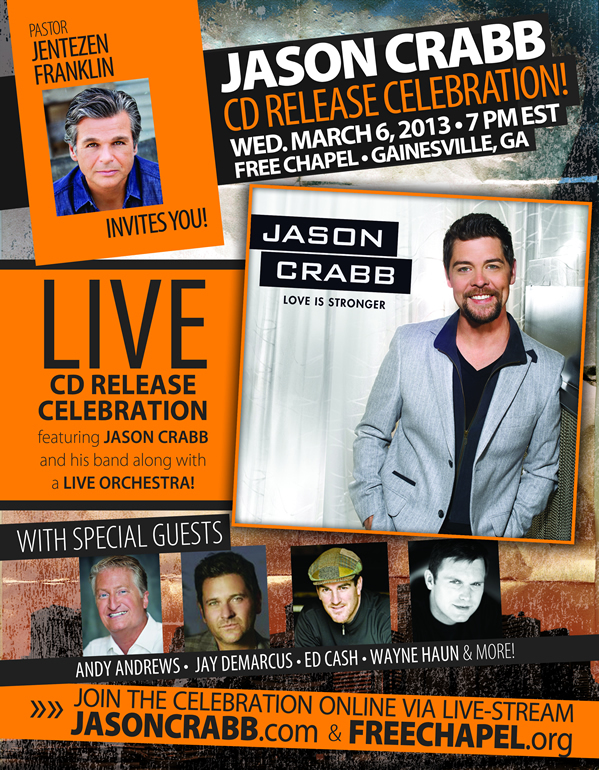 Posted in announcements | Comments Off on JASON CRABB HITS A HOME RUN WITH LOVE IS STRONGER! NASHVILLE, Tenn.— Jason Crabb, Christian music’s reigning Artist and Male Vocalist of the Year, is set to release his all-new, sophomore studio release, Love Is Stronger (Gaither Music Group), on March 12th. The follow-up to his GRAMMY®-winning, self-titled debut, this 11-song collection finds Crabb working with an all-star cast of producers including Jay DeMarcus (producer and member of country super group Rascal Flatts), Ed Cash (Chris Tomlin, Kari Jobe) and Wayne Haun (Celine Dion, Earl Scruggs), each of whom produced Crabb for the first time. That group of songs was written by some of the music industry’s most respected writers including Ronnie Freeman, Tony Wood, Sarah Hart, Marc Byrd, Jimmy Yeary, Sonya Isaacs Yeary, Connie Harrington, Mia Fieldes, Seth Mosley, Michael A. Mobley, Geron Davis and Barry Weeks among others. The recording found Crabb taking a bit of a different role inside the studio. One of the songs that DeMarcus produced was “There’s Not a Crown,” a song previously recorded by Michael English and later by The Martins with English producing them. This new rendition brings the story full circle as it features guest appearances by English and Joyce Martin Sanders, of the Martins, who join Jason for an all-new version of this song. And that story continues to unfold as Crabb’s career continues to reach new heights. In 2012 he toured over 150 dates; released Together Again (Gaither Music Group) with The Crabb Family; appeared regularly internationally on tv; performed on Marie Osmond’s Hallmark Channel Show, “Marie”; prepared to make his film debut in the movie “Inspiration Pop”; contributed the theme song to the film “Finding Faith”; co-hosted the GMA Hall of Fame Induction Ceremony and appeared several times on FOX News Network. Crabb was able to participate in Nashville’s annual Bella Bash supporting The Angel Wings Foundation, Nashville’s annual The Bridge to Christmas event as well as a Christmas benefit concert alongside Sandi Patty in New York that benefited the victims of Hurricane Sandy. Love Is Stronger, exclusively distributed by EMI CMG Distribution, is currently available for pre-sale at www.JasonCrabb.com, iTunes, Amazon.com and at www.gaither.com. At LifeWay Christian Stores, consumers can purchase an advance “single CD sampler” and return to the store on March 12th to obtain the full release. The release will be positioned prominently in stores nationwide in the months ahead and will be featured on CTS, Family Net, FFE, GAC, Grace, Vision, RFD, TNN, TBN, Airtime, CTN, Gaither TV, The Walk TV (formerly Legacy), Miracle, TCT and TLN. 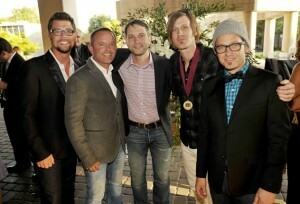 Connect with Jason Crabb: www.jasoncrabb.com, www.facebook.com/jasoncrabbmusic and www.twitter.com/jasoncrabbmusic. Nashville, TN – Grammy® Award winner and reigning GMA Dove Awards’ Male Vocalist and Artist of the Year JASON CRABB, is set to release his brand new single, “What the Blood Is For,” to radio on January 21st. The song, written by Ronnie Freeman and Tony Wood, serves as the first single to southern gospel radio from the forthcoming project LOVE IS STRONGER, releasing on March 12th. 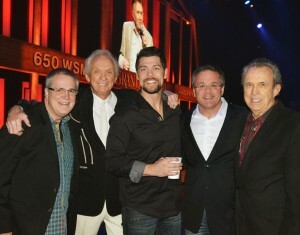 Crabb is preparing to release Love Is Stronger produced by award-winning producers Jay DeMarcus, Ed Cash and Wayne Haun. “I’m so excited to release new music and I’m really proud of this project. I can’t wait for everyone to hear it!” The release is currently available for “Pre-Buy” at all LifeWay Christian Stores. Grammy® Award winner and 17-time GMA DOVE Award winner Jason Crabb has become known as one of the most respected and diverse vocalists in Christian music. His soulful, heartfelt vocals have made him a critics’ pick and a fan favorite on stages ranging from “The Grand Ole Opry” and the Brooklyn Tabernacle to the Gaither Homecoming arena platforms. In 2012, Crabb was honored to be awarded with not only the Male Artist of the Year award at the GMA DOVE Awards but also the Artist of the Year Award in addition to the Soloist of the Year Award at the NQC Music Awards. With a string of number one hits and chart-topping singles, a tour schedule of over 170 dates annually, ongoing tv appearances and an all-new recording, this vocal powerhouse’s talent is topped only by his genuine personality and concern for others. (Nashville, TN – October 15, 2012) – Entertainment icon, Marie Osmond, will welcome Grammy® award winner, Jason Crabb, to her new daytime show, “Marie,” on the Hallmark Channel October 18, 2012. Jason will perform and share a few moments with the iconic personality. Crabb is currently in the studio working on a new project slated for release in 2013 with producers Jay DeMarcus, Ed Cash and Wayne Haun. He will embark on a holiday tour, “A Christmas Celebration,” with Sandi Patty beginning on November 23, 2012 and ending on Dec. 21, 2012. 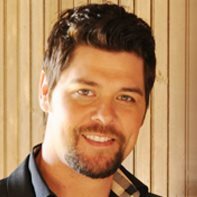 About Jason Crabb: Vocalist, musician, author, and host, Jason Crabb, was born to bless the world through his talents. In 2009, Crabb’s solo career took off, gaining him one Dove award after another leading him to winning over 20 Dove Awards, a Grammy Award and most recently Soloist of the Year award from NQC Music Awards. This past year, Crabb was honored to be awarded with not only the Male Vocalist of the Year award at the GMA Dove Awards but also the Artist of the Year award. 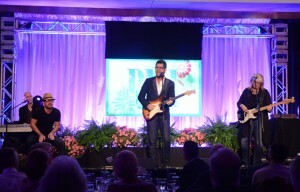 JASON CRABB KICKS OFF SUMMER TOUR WITH STANDING OVATION AT BMI CHRISTIAN MUSIC AWARDS IN NASHVILLE, TN! Nashville, TN – Jason Crabb – Grammy® award winner, 2012 GMA Dove Awards Artist of the Year and Male Vocalist of the Year – kicked off an extensive summer tour with an appearance at last night’s BMI Christian Music Awards in Nashville, TN. Jason performed the award-winning song “Sometimes I Cry,” written by his father, Gerald Crabb, to a standing ovation from the industry crowd that included musicians TobyMac, Chris Tomlin, Brandon Heath and industry leaders Eddie DeGarmo, Bill Hearn, Terry Hemmings, Rod Riley and Barry Jennings. The tour, which features Jason and his band – Blaine Johnson (Keyboards,) Lorie Sikes (Bass Guitar,) and Michael Rowsey (Drums) – will visit over 30 cities wrapping up on September 23, 2012. Crabb is currently preparing a new project with award-winning producers Ed Cash, Jay DeMarcus (Rascal Flatts) and Wayne Haun. With his down-home personality and soulful, heartfelt voice, Jason Crabb has become one of Christian music’s most popular artists. With a string of awards, industry acknowledgements, number one hits and chart-topping singles, a tour schedule of over 200 dates annually, ongoing tv appearances, a book on the shelves and acclaimed recordings, this vocal powerhouse’s talent is topped only by his genuine personality and concern for others. You don’t want to miss this tour! Posted in christian entertainment | Comments Off on JASON CRABB KICKS OFF SUMMER TOUR WITH STANDING OVATION AT BMI CHRISTIAN MUSIC AWARDS IN NASHVILLE, TN!